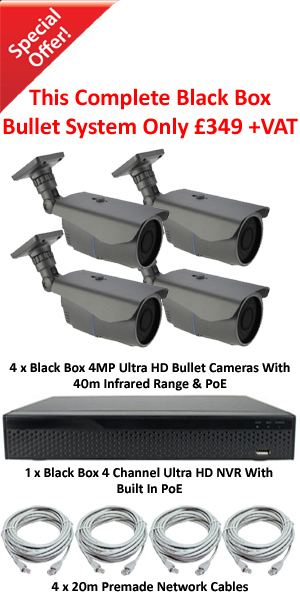 Please see a selection of Black Box Ultra HD CCTV Systems below. We have kits available which include everything necessary to get you setup and recording. The systems include a variety of recorders, cameras and accessories to choose from. If you require a much larger system than what is available below or a mix and match of existing systems then get in touch and we will work out the rest for you.